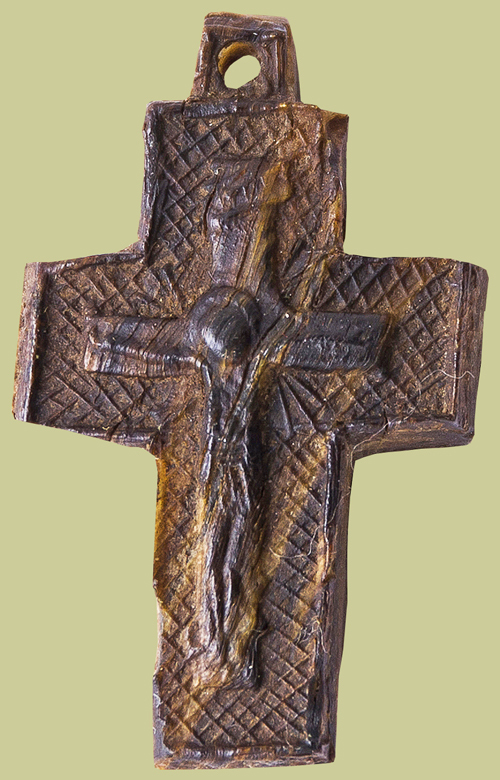 This antique Cross is from the 1800’s; most likely it was made sometime around 1850-1860. The uniqueness of the Cross is: what the content is made from, how it was made, and the purpose it was made for at this time. The Cross is made from steer bull tendon (sinew). The process of making this type of Cross is as follows: the steer bull tendon (sinew) is boiled until it softens. After it softens, the images are implanted on both sides of the Cross. 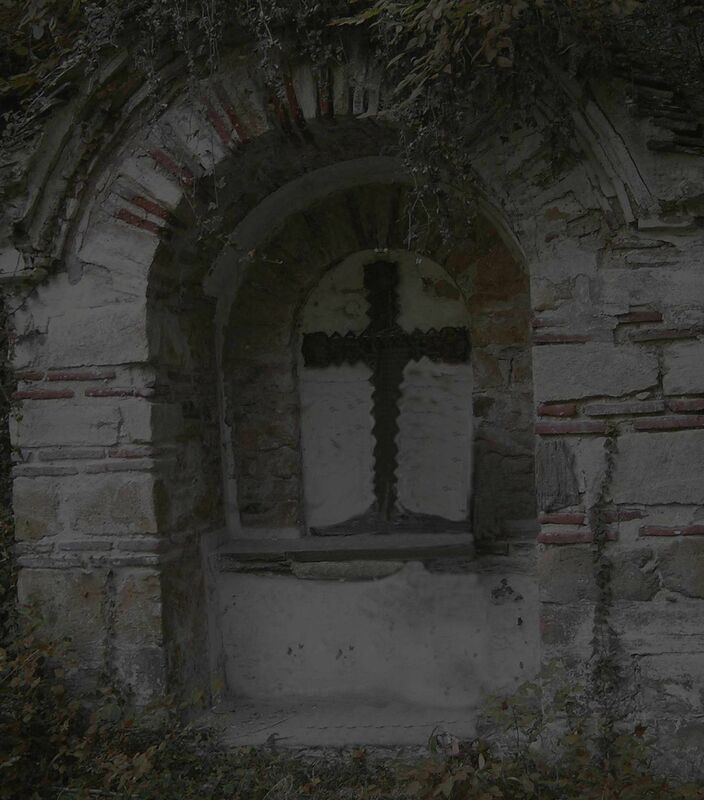 It is known that these types of Crosses were made by monks living in the Bulgarian monasteries. The monks were making these Crosses with the intention of selling them to gain income for the monastery. 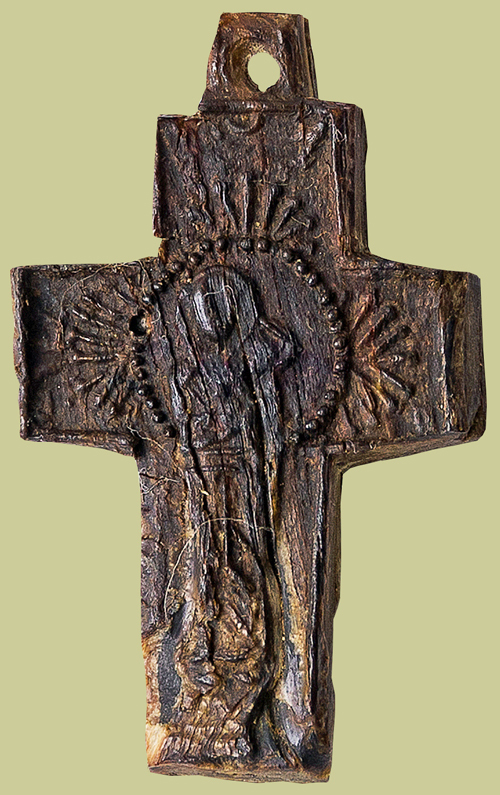 The images shown on this Cross: on one side is the image of the Crucifixion, and on the other side is Holy Mother.